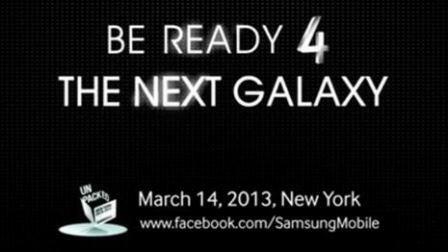 Samsung Galaxy S-IV: The new ‘smartphone’ Samsung Galaxy S4 will be big news that stands between a ‘software’ eye-tracking to monitor the movements of screens. Thus, the South Korean company delves into facial recognition, already introduced in previous products like the Galaxy S3. As stated by an employee of the company to The New York Times, the new device will be released this month, will focus on advances in tools ‘software’, as with its predecessor. Among its innovations is the most characteristic: eye tracking. This system uses eye tracking technology to determine where the user is looking and performing ‘scroll’ if required. For instance, while reading a document, when the user’s eyes have reached the last lines, the device automatic move the screen to display the next paragraphs of text. The Samsung employee who spoke with the NYT, no details about why the company has added this kind of ‘software’ or whether the function could be shown during the next event to be held in New York on 14 . This technique would correspond to ‘Eye Samsung Scroll’, the Korean trademark in the United States last February described as: “‘Software’ computer with built-in motion detection and eye ‘scrolling’ screens mobile devices, specifically mobile phones, smartphones and ‘tablets’ PC according to eye movements, digital cameras, mobile phones, smart phones and’ tablets’ PC ‘. This technology ‘eye tracking’ has been developed by Samsung during the last years. So much so, that his latest ‘smartphone’, the flagship of the company so far, the Samsung S3 already has this system to illuminate the screen at the moment when someone is watching her instead of keeping the darkening system gradually the other terminals.